The Telluride Yoga Center, located in the majestic San Juan Mountains of Southwest Colorado, provides a sanctuary for yoga and other spiritual practices. Offering a variety of classes led by talented instructors and host workshops with internationally respected teachers throughout the year. Classes include: Hatha flow, Iyengar, Restorative yoga, Meditation, belly dancing, and Vinyasa flow. Studio e. is a studio for the athletic, outdoor enthusiast. The instructors offer challenging cross training classes with weights, indoor cycling, and power flow yoga. Activities and services include Vinyasa flow yoga, Hot Yoga, The Weighted Yogi, Indoor cycling, The Weighted Ride. Studio e keeps the competitive cyclists, skiers, and climbers on track all year long. Fuel Telluride is an an exclusive Gyrotonic, Pilates and Personal Training Studio located at the base of chair lift 7. About Becca, “My mission in life is to influence and motivate people to overcome their fears and struggles thus becoming empowered through confidence in themselves. Health and wellness are a part of me and my everyday life. My strong belief is that health is one of the greatest gifts, but unfortunately also one that is often neglected and taken for granted. Addressing both the psychological and physiological aspects of life, my goal is to identify with and educate people to reach their greatest potential in health, fitness, wellness and quality of life. 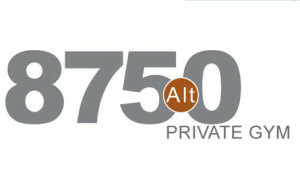 8750 Alt The Telluride Gym is located off of main street in downtown Telluride, 8750Alt is a premier athletic studio and gym in Telluride, Colorado. 8750’s mission is to keep its members stimulated, challenged and regimented during their quest for optimum health. 8750 Alt offers a great selection of Cardiovascular Equipment, Plate Weights, TRX Suspension Trainers, and Hoist Multifunction Full Body Trainer.